THIBODAUX, La. 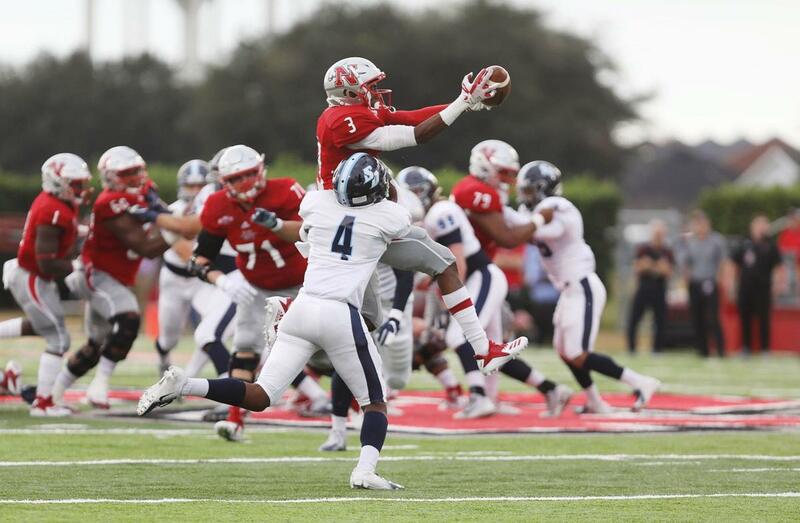 – Nicholls State raced out to a 32-point lead over San Diego early in the third quarter and held off a late rally to win its first playoff game in 32 years, defeating the Toreros, 49-30, Saturday evening at Manning Field in John L. Guidry Stadium. Southland Conference Player of the Year Chase Fourcade led a trio of stars on offense, completing 21 of 31 passes for 337 yards and two touchdowns while adding 82 yards rushing and two more scores. 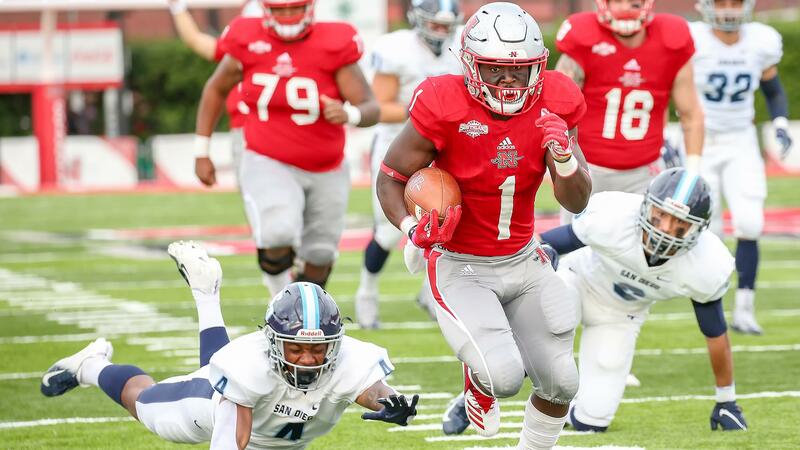 The Colonels had 606 yards of total offense, with Dontrell Taylor recording his fourth 100-yard game on the ground with 124 yards and two touchdowns. Damion Jeanpiere, Jr. fueled the passing game with 143 yards and a TD on seven receptions. On defense, the Colonels allowed only one first-half touchdown to the Toreros, who came into the game ranked 10th in the nation in scoring. But their Walter Payton Award finalist quarterback Anthony Lawrence caught fire after the intermission, adding three more touchdown passes to extend his nation’s best total to 39. Nicholls has dominated the opposition in the first half during its winning streak, and Saturday was no different. Both teams scored on their opening drives, but the Colonels then took a 21-7 lead after first-quarter touchdown runs by Taylor and Fourcade. San Diego (9-3) chipped into the deficit with a field goal before Nicholls added a rushing touchdown from Julien Gums. Fourcade then hit Tajh Smith for his first career touchdown for 52 yards, sending Nicholls into the break with a 35-10 lead. With the victory, Nicholls (9-3) extends its winning streak to five games and advances to the second round to play at No. 3 Eastern Washington. It marks only the second time the Colonels have won in the playoffs, with their first coming in 1986. Kickoff in Cheney is scheduled for 4 p.m. central.